The Sennheiser ew 100 ENG G3 Wireless Microphone Combo System is the latest addition to Sennheiser's Evolution family of wireless microphones. 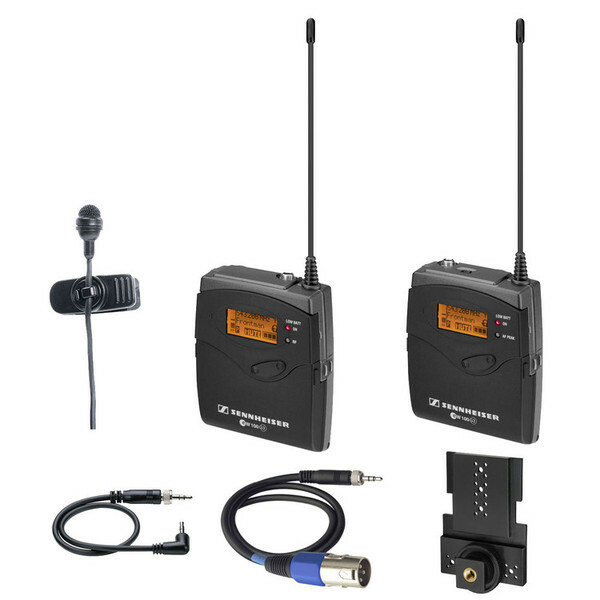 The UHF wireless microphone system features 1,680 tunable frequencies, 21 frequency banks, and 12 frequency presets per bank. Frequency Block B. Requires four (4) AA Batteries (NOT included). Sennheiser Right Angle 1/8"m to Locking 1/8"m Cable - 18"